Great options to move adult teeth quickly, discreetly, whole and healthy. For a long time adults with crooked teeth would have them shaped for crowns to be fitted to improve their smile. Things have moved on now though. There are great options to move adult teeth quickly and discreetly, so they can remain as whole and healthy as possible. Again this depends on your treatment plan. It will usually cost between £1,000 and £3,000. 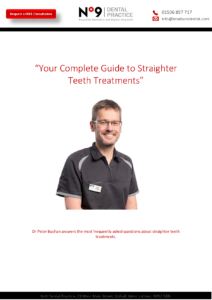 This will include all your planning; the design and creation of your aligners; regular review appointments to ensure your teeth are moving safely and correctly; and long term retainers which will mean your teeth will remain straight for a lifetime.